We recommend that you have done a 200 hour teacher training (any style) but let us know if you haven’t and we will look into what other experiences you have. The intention is to give you, as a teacher, more tools, to broaden your teaching skills as well as your target groups. Perhaps you have done a training in a dynamic yoga style and would like to add a slow style to your teaching menu as well – to be able to teach back to back classes at studios and retreats? ‘• Updated research, the different aspects of yin yoga and how it is applicable to different body types and how personalities, and how movement patterns plays an important part. 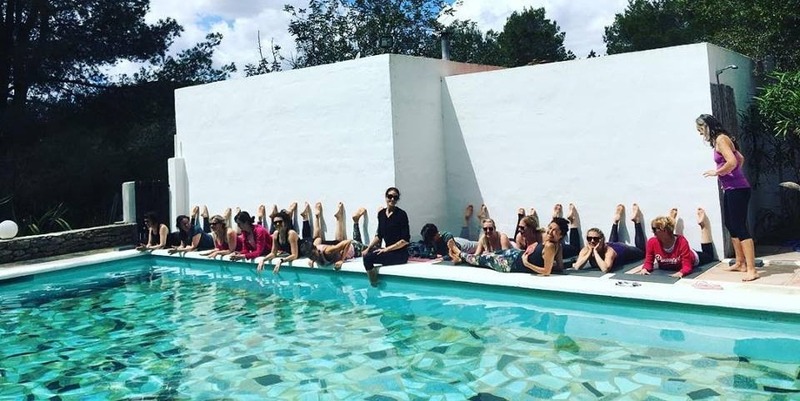 Our focus is very much on teaching the practice in a way that is inclusive and safe for everyone – making this a nurturing and healing practice – a way to connect and go deep inside – a way to truly relax and rejuvenate. How to plan a class, when and how much to talk, what to talk about. Our hands on assists are supportive and nurturing – the focus is on grounding and taking the student to deeper levels of relaxation and letting go. Let us know if you need a part payment plan. Please note that this price INCLUDES food and accommodation, to make it easy for you! All you have to think of is to buy a flight ticket to Ibiza (which is very cheap!) and we can arrange a taxi to pick you up at the airport. Option 2: lunch, dinner and snacks. It’s super easy – and cheap! All you need to do is to buy a flight ticket to Ibiza – and we’ll arrange a taxi pickup from the airport. The airport is only 20 minutes away from the retreat center! Choose one of the following books: the one that resonates the most with you! A deposit of 300€ is required initially to reserve your place, with the full balance to be paid two months before the retreat starts. Please let us know if money is an issue and you need a part payment plan and we’ll see what we can do to help. Upon completion you will receive a level 2 diploma, Yoga Alliance 75 hrs. (Zolder Studio, UK, RYS 300).